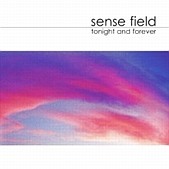 Sense Field's Tonight and Forever is a collection of tightly produced, energetic rock songs drenched in melody. Blaring guitars provide the juice to make the songs work, but it is the band's ability to craft soaring pop hooks that really makes them, and thus this record, shine. The band has the musical imagine to fit on modern rock. However, unlike other 'modern' rock bands, Sense Field stays clear of the derivative, preferring to blend influences rather than directly rip them off.